June 7, 2011  Boren was clearly at risk of having another close race like 2010's. That would have required him to raise another large campaign war chest. Raising nearly $2 million means a lot of phone calls, lunches, dinners and cocktail parties for a lawmaker. Boren apparently had enough. 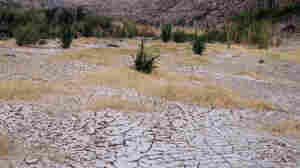 April 6, 2011  So far the drought hasn't been costly in terms of fires, but experts expect farmers to be hit very hard.